When governess Medora Yates sets out for mysterious Hawksclaw House in the dying days of 1856, she has no idea what is in store. Hired to care for her employers’ young son, she arrives in Yorkshire to find the boy too sick to meet her or Gerard Redfern, the new tutor. When Mr. Hawksclaw abruptly announces the next day that his son has died, Medora and Redfern know that there is far more to the matter than he is telling them. Was the child a victim of foul play, perhaps even by one of his parents? Or is the story of his death a lie to conceal something else just as sinister? Medora and Redfern set out to discover the truth, but their task is a difficult one. The boy’s fragile, grieving mother is in no position to help them, and the servants are unwilling to help the newcomers, especially Mrs. Hawksclaw’s loyal maid, Constance, whose fate is entangled more closely with that of her employers than anyone knows. Along the way their investigation will unearth dark family secrets, past tragedy, and the true fate of the heir of Hawksclaw… which all culminate in an astonishing act of redemption. 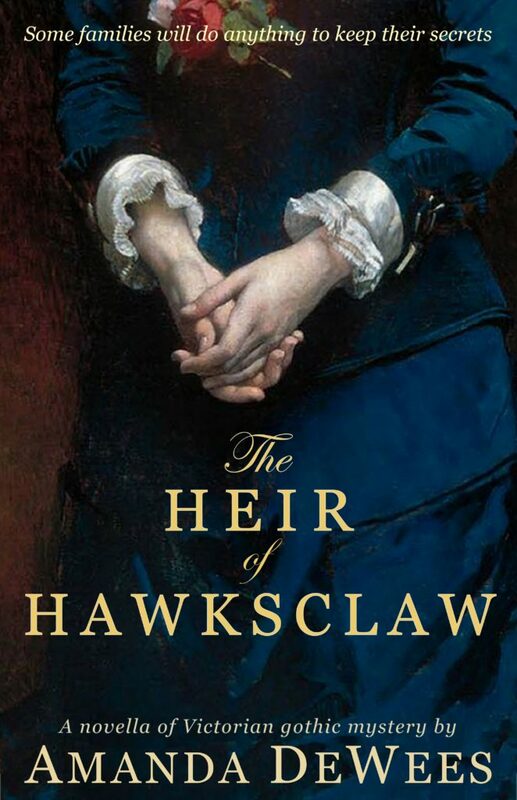 Readers who enjoy the Victorian mysteries of Anne Perry and Barbara Michaels, as well as those who have come to love DeWees’s Victorian romantic suspense novels such as With This Curse and Sea of Secrets, will relish the atmosphere and unexpected turns of The Heir of Hawksclaw.